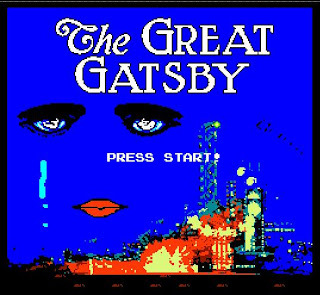 Ever wondered why there’s no Great Gatsby video game? Yeah… me too. 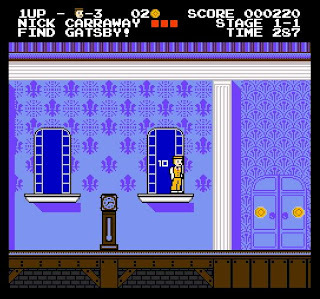 Now, you don’t get to mow Myrtle Wilson down in Gatsby’s Rolls Royce, but you do get to sling your lethal hat at butlers, flappers, hobos and more on your journey to find the mysterious West Egg resident. Make sure your sound is turned on, because the music is a riot. I made it to the Valley of Ashes, but was killed by the giant floating eyes of Dr. T.J. Eckleberg. Anybody make it further? It's been years since I've played any, but there's something about this one that tickles my fancy. Can you imagine a "first-person hacker" game like Crime and Punishment? You defeat the evil pawn broker then spend the rest of the game running from Porfiry Petrovich? It'd be classic. "Read the best books first, or you may not have a chance to read them at all." Bazarov and Bluto: Where are they now?